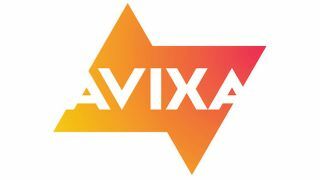 AVIXA has released its 2017 AV Industry Outlook and Trends Analysis (IOTA) Global Summary. The report provides an economic outlook through 2022 for the AV industry worldwide, including the Americas, Asia-Pacific, Europe, and the Middle East and Africa. The Global Summary report, conducted by London-based IHS Markit on behalf of AVIXA, is the final report in the IOTA series, which includes regional reports for Europe, Asia-Pacific, and the Americas. "The IOTA Global Summary provides a 360-degree view of the pro AV market, from product trends to vertical market analyses, on a worldwide scale," said Sean Wargo, senior director of market intelligence, AVIXA. "With diverse markets around the world, it's crucial to understand the various elements influencing end users' buying habits. This report will arm AV firms with the insight needed to build comprehensive business strategies." The IOTA Global Summary provides a view of the AV industry from several different levels and perspectives starting with macro trends, from worldwide technology to global events. These trends translate into opportunities within thriving vertical markets, such as healthcare, hospitality, and retail. Furthermore, these opportunities are reinforced by the underlying technology shifts influencing AV solutions, such as cloud services and IT systems. The professional AV industry worldwide generated $178 billion in 2016. While European revenues contracted relative to 2014 industry value, significant value creation in Asia-Pacific sustained global AV growth. Through 2022, it is expected that global AV revenues will increase 4.7 percent annually. The industry will create an additional $52 billion in value during the remainder of the forecast period. In the short term, the industry will move toward a mix of cloud and on-premise solutions. Cloud services will increasingly become common for IoT-based visualization solutions. These benefits will reduce operational cost, increase productivity, and provide futureproofing to users. It will allow users to plan and streamline the execution of their AV ideas more effectively and creatively. From 2014 through 2017, the combined video displays and projection segments are estimated to drop by 13 percent, with the market for projector products losing 12 percent of its value. While the loss of $1 billion in projector sales will be offset by a gain of $3.5 billion in displays sales, the projection and displays segments, taken together, cannot weather contraction in the market for projection screens and accessories. Looking ahead, however, 14 percent projected annual growth in displays sales through 2022 will more than make up for the estimated dip in projection sales. The global security, surveillance, and life safety solutions market was $14.7 billion in 2016, with about 50 percent of the industry spend on security cameras. By 2022, the market will reach more than $22.9 billion, $15.4 billion of which will be for capture and production equipment. Similarly, sales of digital signage solutions are poised for worldwide growth, rising more than 8 percent per year, on average, through 2022. Pro AV sales in the hospitality market, including hotel chains, independent hotels, casinos, cruise lines, and resorts, will double from $7 billion in 2014 to $14 billion by 2022. The streaming media storage and distribution, video displays, and capture and production equipment product segments will make up two-thirds of the pro AV share in this sector. Pro AV sales into the healthcare market will also reach double-digit growth around the world through 2022.